Soapstone is a rock composed mainly of talc (magnesium mineral) with various impurities such as chloride, carbonate and other minerals. Because of its talc composition, it is usually very soft in texture and its name describes the feel of a “soap” and the softness of a stone. 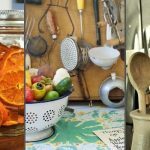 It is a natural, environmentally friendly material and its processing does not contain chemicals, making it a good choice for constructing sinks or kitchen benches. 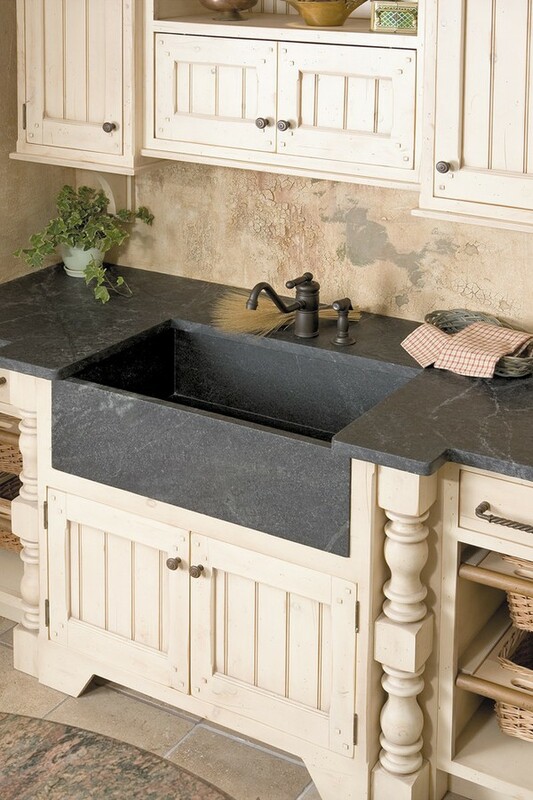 Soapstone sinks are ideal for renovations because they look very beautiful in a kitchen while also offering many advantages. This is a practical material that is not easily destroyed. It’s an alternative proposal if you want a marble sink with great durability and longevity. Of course, you should be aware that it is not as durable as granite. They are pristine, have a fine texture, are resistant to fruit acids, wine, high temperatures, various chemicals, and because of their non-porous surface they do not get easily dirty by water spots. Therefore they do not absorb moisture. 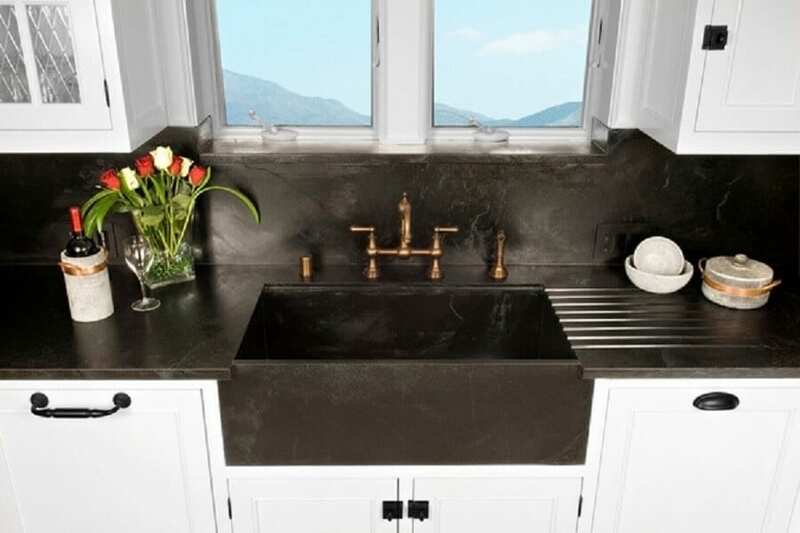 With all of the previous features, we would suggest that you put soapstone even on the wall as a backsplash to your sink and kitchen instead of tiles for example. Soapstone sinks are clean and easy to maintain, so from a practical point of view they are a great solution for a modern family where time is precious. To clean your sink or countertop it is enough to wipe it with a soft cloth after you have wet it with warm water. 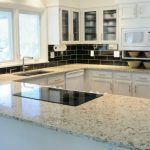 If you want to preserve the beauty and natural look of the stone, you can treat the surface with a special oil to eliminate minor scratches or alterations. You will find a wide variety of colors, mainly in shades of black and gray. 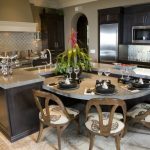 Although color restricted, soapstone may have different shades in specific areas ranging from soft green, light blue and brown to classic black and soft gray. It usually has a matte finish and this makes it an excellent choice for more modern, casual and simple decoration styles. 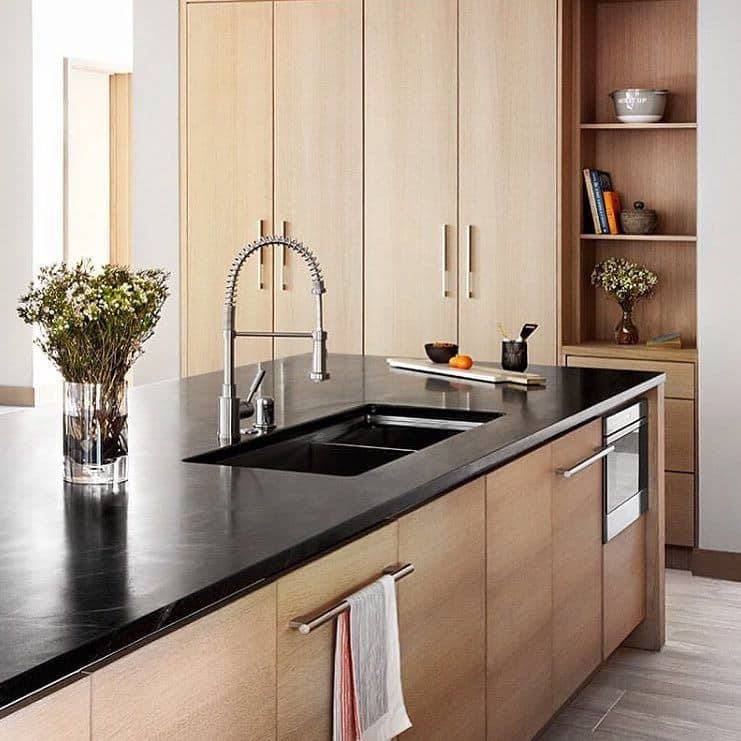 Additionally, soapstone is a malleable material and this allows you to install sinks and countertops in whatever form you want. 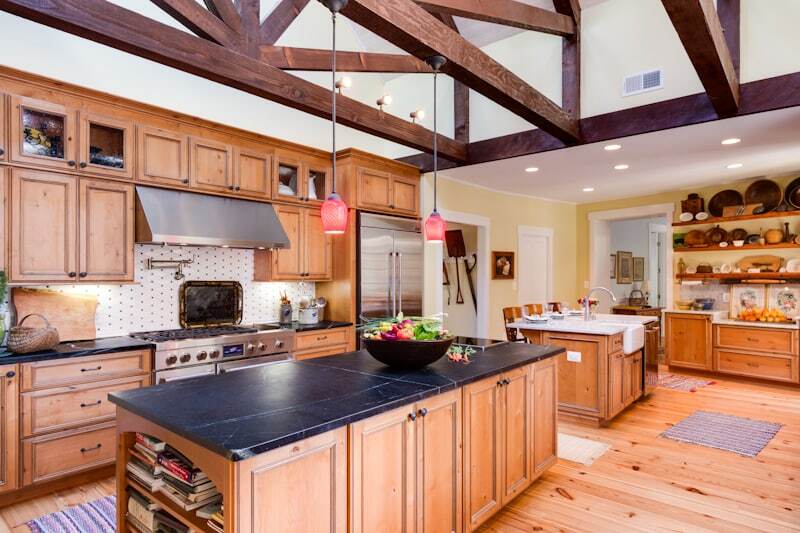 It matches perfectly with both a rustic and a modernly decorated kitchen. It collaborates and coexists with many other materials such as granite, wood, glass and metals without you having to worry about the color theme. 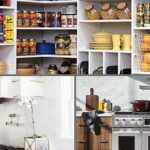 Its natural black and gray color can match many shades in a kitchen and could even perfectly complement a kitchen with white cupboards or wooden or even with soft beige shades. 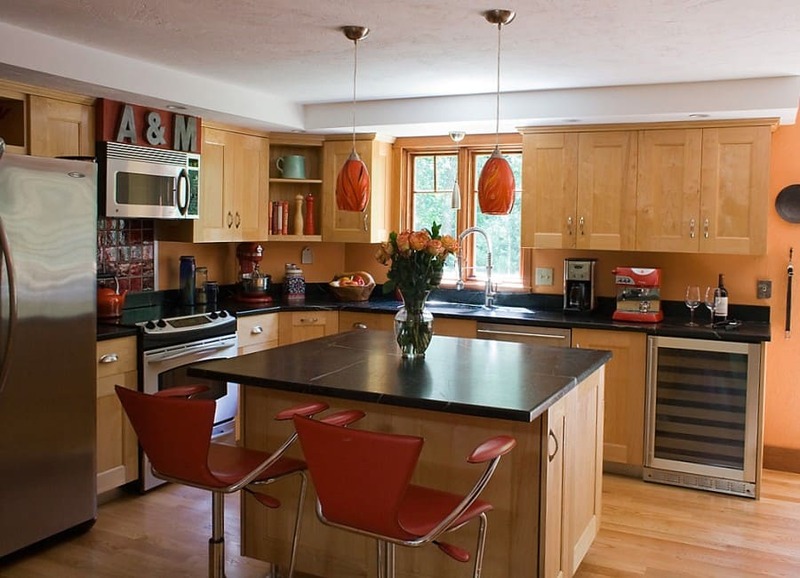 The combination of a soapstone sink with a kitchen countertop of the same material emits warmth and style. The surface of the saponite is not smooth and glossy like granite. 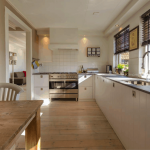 This of course does not mean that your kitchen will look old and outdated, instead sinks and countertops made of saponite are an excellent choice for contemporary and modern architectural solutions in a kitchen renovation. 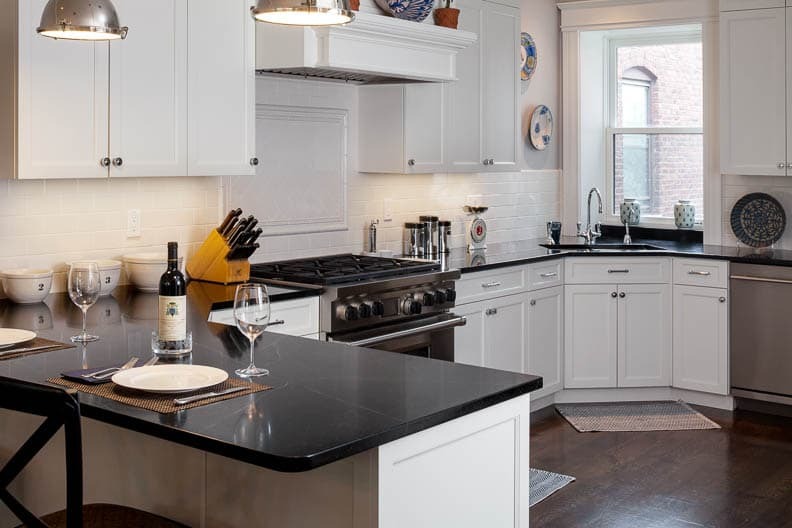 You can see some suggestions below with kitchen pictures using soapstone materials to get ideas about renovating and how to combine saponite sinks with various kitchen styles. 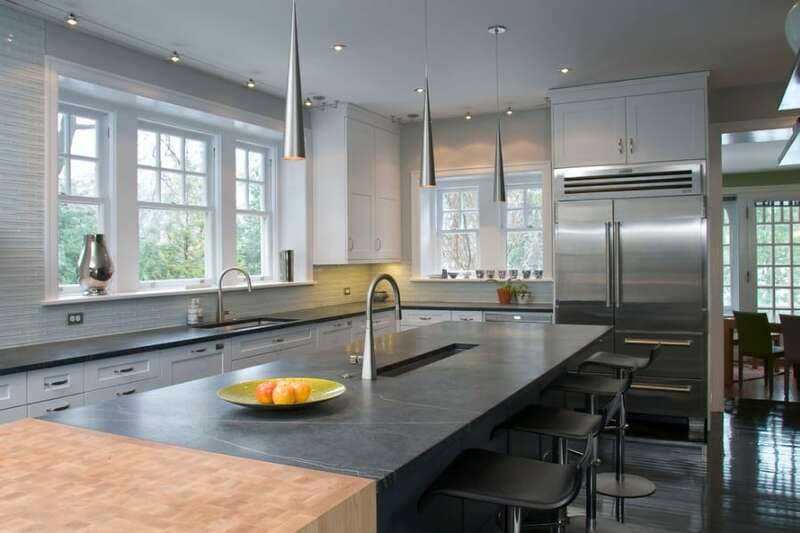 When using soapstone for your kitchen sink or kitchen countertops you will find that as time passes this material becomes even more beautiful.